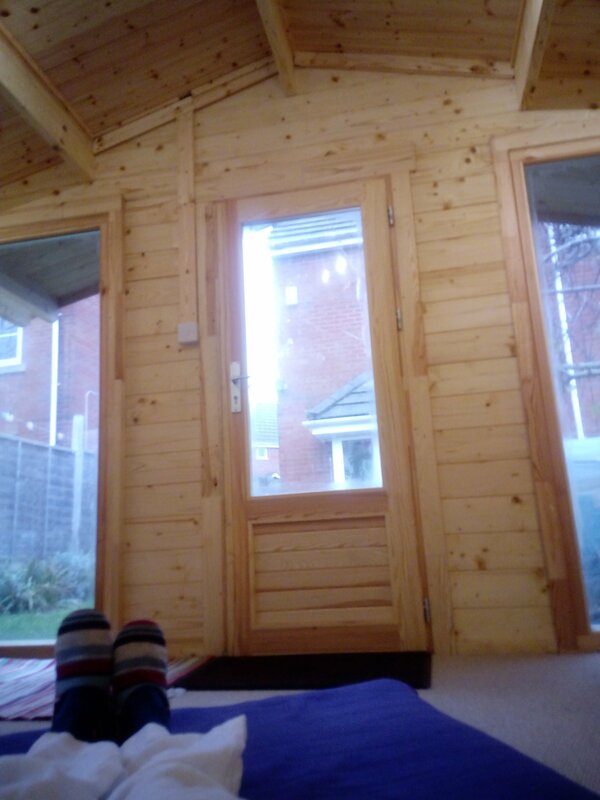 It was a cold, dark day in Exeter today but the Shiatsu Shed was warm & cosy. 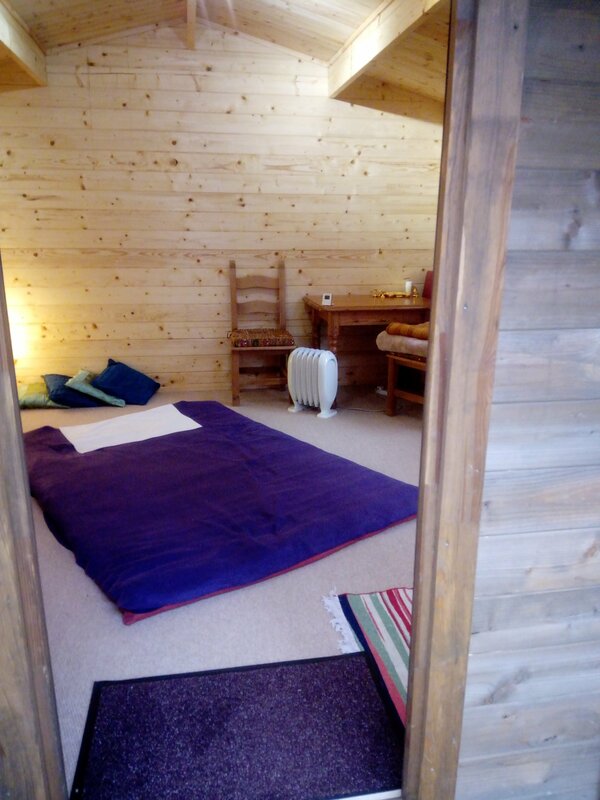 I really enjoyed giving Shiatsu in out wooden cabin, it’s perfect for a relaxing treatment. 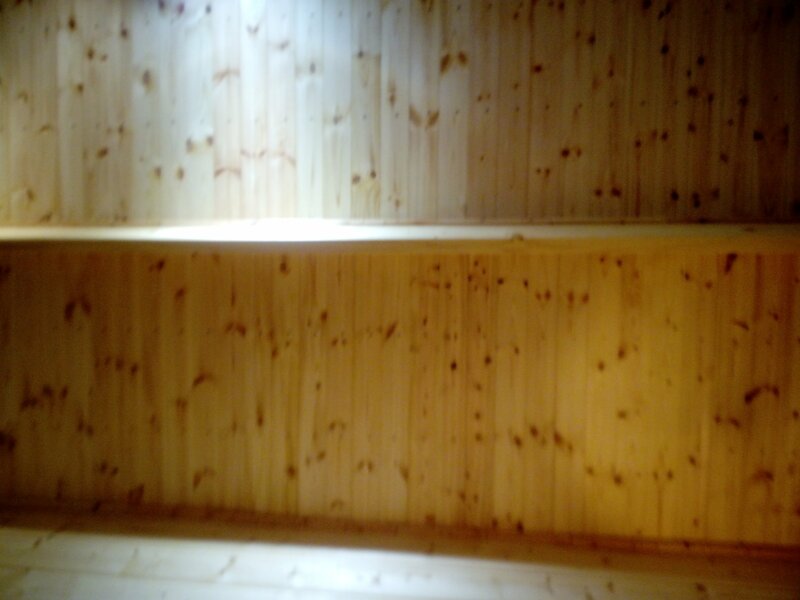 As the wood warms it creates a really pleasing wood smell & feels like a light, warm, tranquil space. I feel really lucky to be able to work in it, & it’s just a step out of our house. 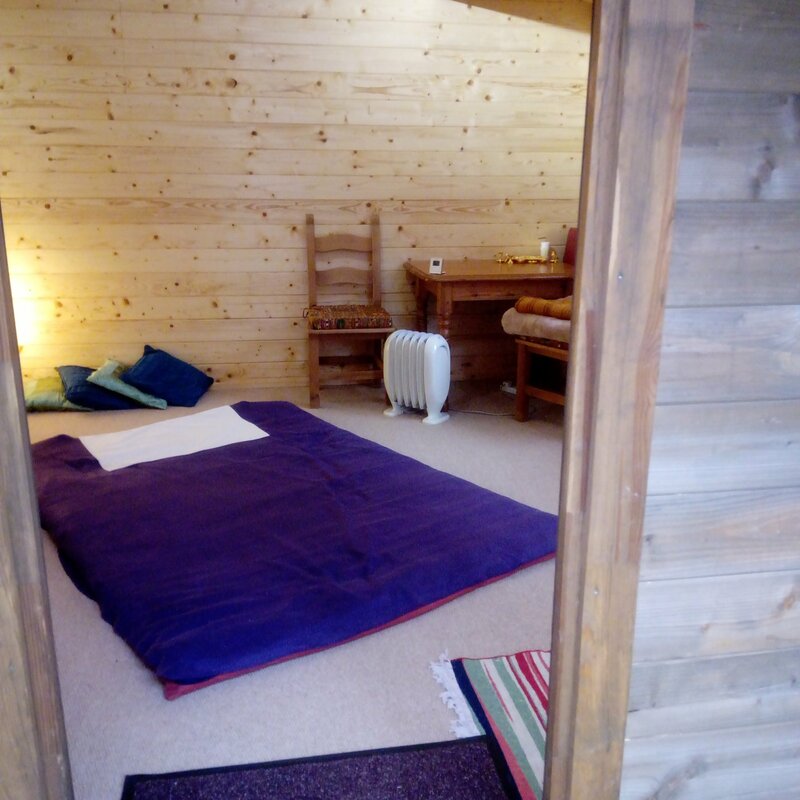 I offer Shiatsu in the Shiatsu Shed on Tuesdays, Wednesdays, Fridays & Saturdays.